It's that time of year again with new Six Flags announcements. 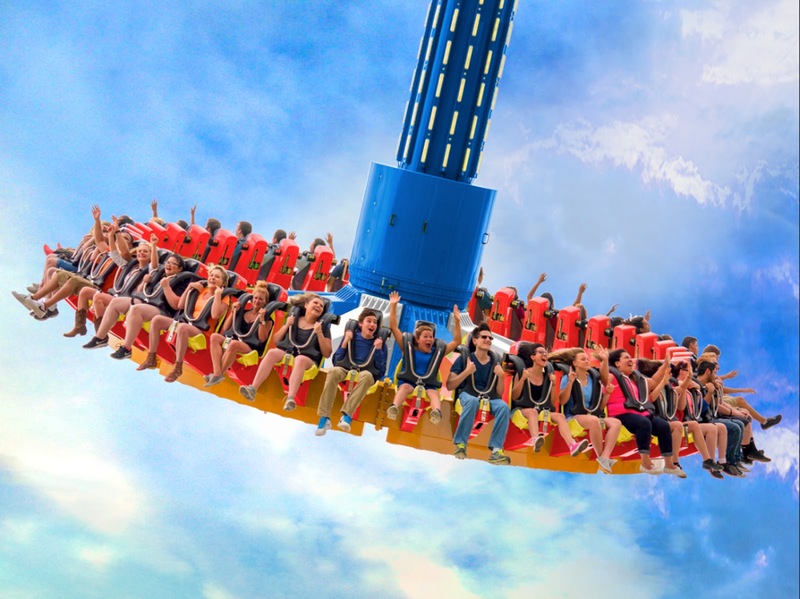 While we weren't really expecting anything this year, we were surprised to find out about a new high-thrill flat ride to be installed at Six Flags Discovery Kingdom, a "Giant Discovery" by Zamperla. These rides can also be found at Kennywood park and Six Flags over Texas and can hold 40 riders per cycle. Max swing speed will be 68mph and will provide moments of airtime. 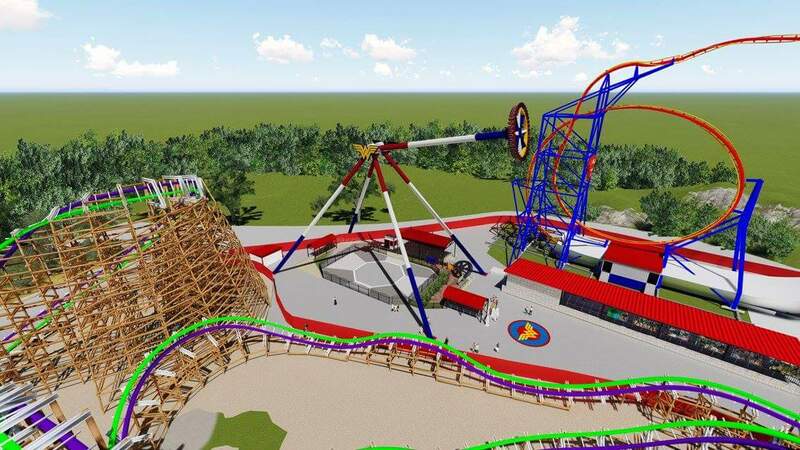 The ride will be located in an unused patch of land between Joker's Step Up Roll and Superman Ultimate Flight. Now park fans have expressed concern that SFDK already has a similar ride like this, Tazmanian Devil. Taz has riders facing inward and is a much smaller ride, and doesn't swing as high. 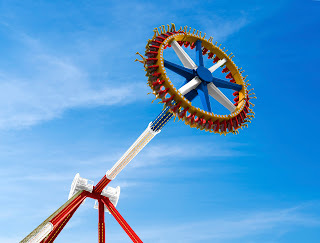 It does however spin like a Gravitron ride providing some forces. It also seems like Taz has experienced a lot of down time recently. 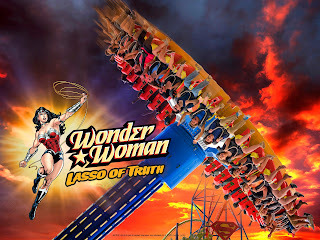 Lasso of Truth will swing well above the supporting structure with riders facing outward in an open air seat. VALLEJO, Calif. — September 1, 2016 —Six Flags Discovery Kingdom, the Thrill Capital of Northern California, in partnership with Warner Bros. Consumer Products on behalf of DC Entertainment, today announced its newest ride attraction, WONDER WOMAN Lasso of Truth, to open in Spring 2017. · As guests swing higher and higher, they will experience a feeling of weightlessness at 147 feet in the air.